Brown the beef strips in batches in a little hot oil, set aside. Stir-fry the vegetables in a little more oil for 3-4 mins. 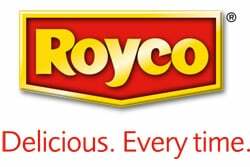 Add the beef and the contents of the ROYCO® Cape Malay Curry Cook-in-Sauce, and stir-fry for 1 min. Add the cashew nuts and serve garnished with coriander leaves. Enjoy!